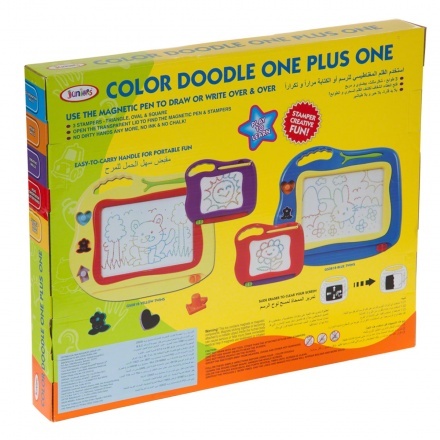 Let your child explore creativity with this drawing board set. 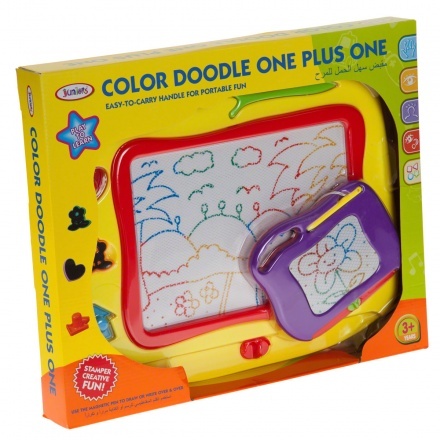 It comes with two boards and features magnetic pen and stamps. 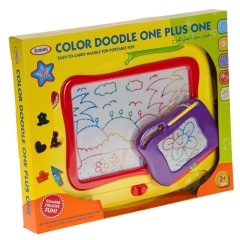 The boards can be swiped clean without any hassle.